Some blame the bodybuilding crowd of the 1970’s and 80’s who started it all with their chalky smelly egg shakes. Others say it’s a conspiracy by the fast food chains to keep us all from getting in shape. But no one can deny……..most protein shakes just don’t taste that good. The harsh reality is this - if you want to get buff, trim, lean, ripped, jacked or swol, you better figure out a way to force that shake down. Fortunately here at PlantFusion, we don’t have this problem because we make our shakes using hand-selected vanilla bean from Madagascar and the finest cocoa from Cordoba, Spain. However, we spoke to a couple of bros from the gym who don’t use PlantFusion, and they shared a number of things to watch out for when “pounding your muscle juice”. This doesn’t have to be you. 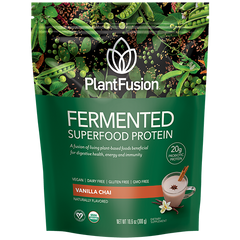 Filling yourself up with the highest quality most delicious plant protein is easier than you think. We call it being Full of Crop. 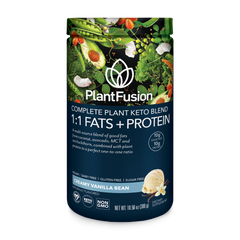 If you want to get Full of Crop and leave behind the bad tasting protein shakes, Click Here and get a Free Sample, plus a $5.00 coupon and Full of Crop sticker. (Just pay small shipping/handling charge).